The young women and men of the Corps work hard protecting and restoring California’s environment and responding to disasters, becoming stronger workers, citizens and individuals through their service. 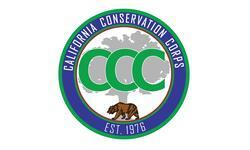 Established in 1976 by Governor Jerry Brown, the California Conservation Corps (CCC) is one of the oldest and largest state conservation corps programs in the country. The CCC is modeled after the Civilian Conservation Corps of the 1930s. It operates more than two dozen residential and nonresidential locations throughout the state, with locations as far south as San Diego and as far north as Yreka; all locations operate year round. The CCC works for a wide range of project sponsors throughout California, including state agencies, federal agencies, city and county agencies, school districts, nonprofit organizations and private industry. RESOURCE CONSERVATION AND ENHANCEMENT: CCC corpsmembers at locations throughout the state conserve and enhance the state's natural resources through a variety of projects. Typical project work varies by site, and can include (but is not limited to): Landscaping and park development, trail maintenance, repair and construction, fire hazard reduction, riparian habitat enhancement, fish ladder installation, removal of non-native plant species, and native vegetation planting. CORPSMEMBER DEVELOPMENT: In addition to the project work, corpsmembers are expected to participate in their site's corpsmember development program, which includes volunteerism, curriculum on Conservation Awareness and Career Development, and monthly evaluations. Corpsmembers who do not have a high school diploma are required to attend 10 hours of high school education classes, offered on-site through the CCC's educational providers.